ConceptDraw is a tool for technical and business graphics. It provides specialists who create graphic documentation with a possibility to focus not on the process of drawing itself but on the essence of the task. For this ConceptDraw features a huge number of ready-to-use objects (4590 for the moment of writing the article), smart connectors, layers, hyperlinks and many other possibilities. Design and document development of projects using a wide range of pre-drawn shapes and smart connectors. Develop visualization solutions with the help of the built-in scripting language. Modern development of program software leads to a large amount of graphic documentation: diagrams describing the work of applications in various cuts and notations, GUI design, documentation on project management. Each of these fields is represented by topical libraries and templates. Let us consider typical applications. Over the recent years object-oriented methodology has become more and more widespread. Thanks to this methodology developers manage to deal with growing complexity of applications. More and more programs are written in such programming languages as C++, Java, Visual Basic and Object Pascal. However, the complexity of the designed systems imposes extended requirements as to design of graphic documentation. ConceptDraw possesses powerful tools for designing of technical documentation for object-oriented projects. The libraries included in the package allow to easily draw class hierarchies, object hierarchies and diagrams of data flows with the use of the most popular notations, including UML and Booch notations. And the library for projecting COM-interfaces will spare developers of ActiveX-servers a headache. Flowcharting is a conventional way of recording algorithms in a graphic form. ConceptDraw is an ideal means for their creation. Easiness of flowcharting in ConceptDraw is really impressive. This functionality is useful for students and teachers of informatics. At development of real application flowcharts are widely used for clearing processes on which business-logics of the application will be based. ConceptDraw allows to more tightly draw art designers, managers and users to the process of GUI design. Now libraries of controls for Windows XP, MacOS and MacOS X are available to all of them and they can share their vision of Windows, menu and web-forms on various platforms with developers. For a large-scale project to be completed successfully it should be thoroughly projected. One of the generally recognized and visual tools for projecting and tracking timeliness of the work on a project is a Gantt chart. ConceptDraw offers the wizard for automatic creation of Gantt chart. Cross platform compatibility. ConceptDraw is released in two versions: for PC and for Mac. Its files can be easily read by the both versions. It means you can exchange documents with your colleagues and partners working on different platforms. Export to HTML provides the possibility of getting a set of ready web-pages based on a ConceptDraw file, which can be displayed in intranet or Internet for all who care. Export to PDF and graphic formats are designed, first of all, for sending information via e-mail. ConceptDraw DIAGRAM supports XML. XML for ConceptDraw has been created and, at the same time, support for import XML for Visio. All this allows to develop solutions for automation of various aspects of software development. ConceptDraw is a good means for visualization of information of any kind. The program features powerful graphic possibilities. Thus, on the ready graphic kernel ConceptDraw the rest products of the line have been developed: ConceptDraw PROJECT, ConceptDraw MINDMAP This powerful graphic kernel (2D-graphics) is supported by a number of open formats (including XML). To this add the flexibility of data processing, connected with the scripting language ConceptDraw Basic (included in version V), and also the flexibility in parameterization of objects, which is provided by the whole table of the object parameters (which is available for editing even from the program's interface). So in the end it becomes clear that visualizing of information in ConceptDraw is a good idea. So, the typical task for ConceptDraw Basic is to automate the visualization of some data. This data can be obtained as the result of work of an arbitrary application (including ConceptDraw-script) and saved in a text file, ODBC-compatible database or in one of the open formats supported by ConceptDraw. In the first two cases, data will further be read and visualized with the help of ConceptDraw Basic. In case of using a ConceptDraw open format (XML for ConceptDraw or XML for Visio) the obtained document can be simply opened in ConceptDraw, you can then add some details of design and get a presentable diagram. Possibilities of ConceptDraw Basic considerably increase at using in script the functions exported by the shared libraries. The conclusion is: ConceptDraw is a platform worth considering for writing solutions, connected with data visualization. Special attention has been given to work with databases. There are libraries for designing databases in various notations: ORM, Chen ERD and Martin ERD, Express-G and relational diagrams. Starting from version V, ConceptDraw supports ODBC-compatible databases. Interaction with them is possible with the help of the scripting language ConceptDraw Basic. Besides, in ConceptDraw Professional package there is Database Model Diagram wizard (it can be found among the templates of the section ERD & Database). It builds a model of an arbitrary presented by the user in the form of DSN database. ConceptDraw DIAGRAM v12 creates drawings, flowcharts, block diagrams, bar charts, histograms, pie charts, divided bar diagrams, line graphs, area charts, scatter plots, circular arrows diagrams, Venn diagrams, bubble diagrams with great visual appeal on Mac OS X. Mathematical Drawing Software - Draw mathematical illustration diagrams easily from examples and templates! Droiddia allows you to make flow charts org charts venn diagrams mindmaps and do other diagrams with no constrains and as little effort as possible. When we think about programming, we usually imagine sleepless nights spent on writing kilobytes of code. However, from another point of view, Software development with ConceptDraw DIAGRAM v12 makes a programmer's life endlessly easier. This tool is unique to fulfill all your needs in short period of time. Over the recent years object-oriented methodology has become more and more widespread. Thanks to this methodology developers manage to deal with growing complexity of applications. More and more programs are written in such programming languages as C++, Java, Visual Basic and Object Pascal. However, the complexity of the designed systems imposes extended requirements as to design of graphic documentation. ConceptDraw possesses powerful tools for designing of technical documentation for object-oriented projects. 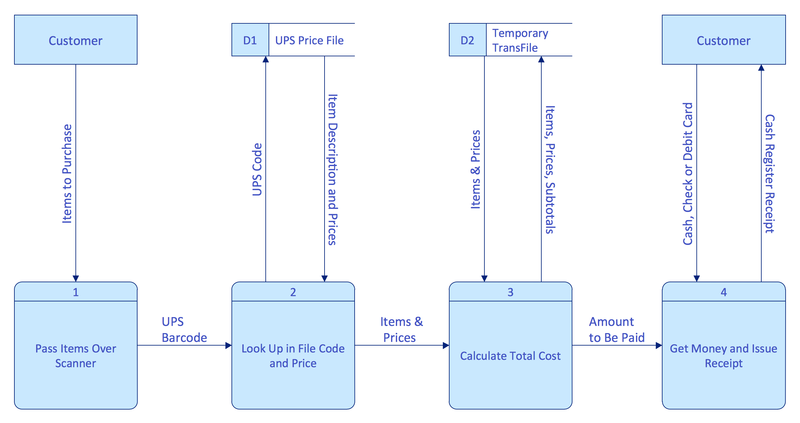 The libraries included in the package allow to easily draw class hierarchies, object hierarchies and diagrams of data flows with the use of the most popular notations, including UML and Booch notations. And the library for projecting COM-interfaces will spare developers of ActiveX-servers a headache. Times when you had difficulties in searching for an appropriate software depending on your OS, had passed. If you still look for a great software to create flowcharts on Mac, here is the answer. ConceptDraw Pro is a great tool for creating diagrams, with tons of samples, libraries and tutorials. Making flowchart diagram is the best way to represent a process as a sequence of steps. Flowcharting provides a simple way of organizing and representing data so that even complex and detailed processes become clear. That is why using a flowchart software tool is proven to be an ideal for structure and share an information on process workflow structure. This flow chart was created to depict the steps of certification process. This flow chart was created using ConceptDraw DIAGRAM v12 software for Apple OS X. The Rapid Draw technology was used to create this flow chart. ConceptDraw DIAGRAM v12 also supports popular Apple OS X features such as Quick Look, Full-Screen Mode, Version Browsing and Autosave. You can export your multi-page diagrams to SVG or graphic formats such as TIFF, JPEG, PNG and PDF.